Gillette’s new advertising campaign has caused a bit of a stir. 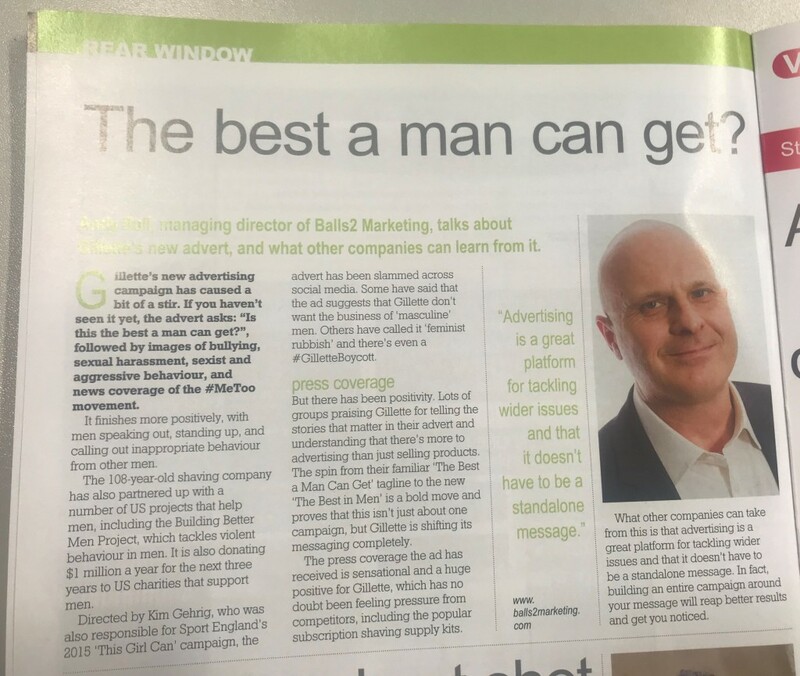 If you haven’t seen it yet, the advert asks: ‘Is this the best a man can get?’, followed by images of bullying, sexual harassment, sexist and aggressive behaviour and news coverage of the #MeToo movement. It finishes more positively, with men speaking out, standing up and calling out inappropriate behaviour from other men. The 108-year-old shaving company has also partnered up with a number of US projects that help men, including the Building Better Men Project, which tackles violent behaviour in men. It is also donating $1m a year for the next 3 years to US charities who support men. Directed by Kim Gehrig, who was also responsible for Sport England’s 2015 ‘This Girl Can’ campaign, the advert has been slammed across social media. Some have said that the ad suggests that Gillette don’t want the business of ‘masculine’ men. Others have called it ‘feminist rubbish’ and there’s even a #GilletteBoycott. But there has been positivity. Lots of groups praising Gillette for telling the stories that matter in their advert and understanding that there’s more to advertising than just selling products. The spin from their familiar ‘The Best a Man Can Get’ tagline to the new ‘The Best in Men’ is a bold move and proves that this isn’t just about one campaign, but Gillette is shifting its messaging completely. The press coverage the ad has received is sensational and a huge positive for Gillette, who have no doubt been feeling pressure from competitors, including the popular ‘subscription’ shaving supply kits. What other companies can take from this is that advertising is a great platform for tackling wider issues and that it doesn’t have to be a standalone message. In fact, building an entire campaign around your message will reap better results and get you noticed.